Merry Christmas everyone! This may or may not be a little late, but I wanted to post it anyway just in case it is of some use, for anyone who has a party to go to tonight! 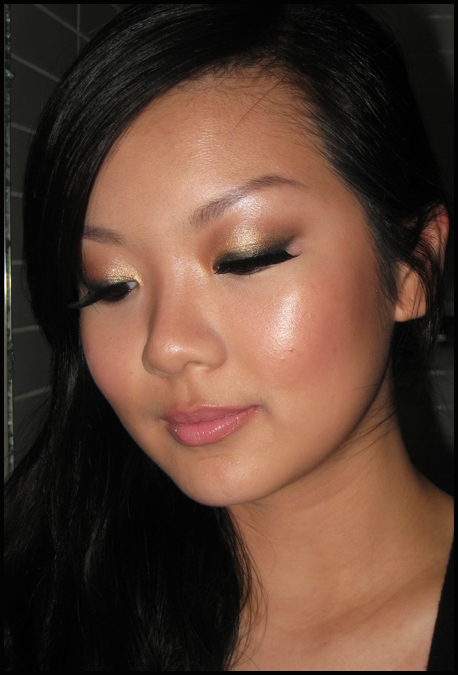 I love gold so I had to post this gold makeup tutorial - I wore it out to dinner last night and I loved it! 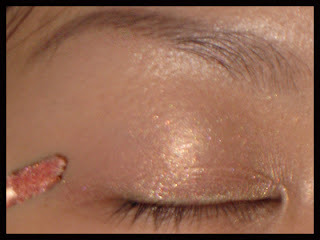 I kept staring at the gold eyeshadow everytime I went to the bathroom (lol). 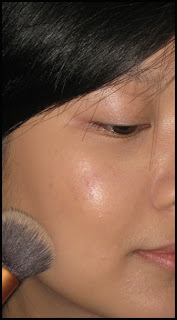 I started with a makeup primer - the one I used is new to my makeup drawers - the Luview Real Skin Primer BB Cream. 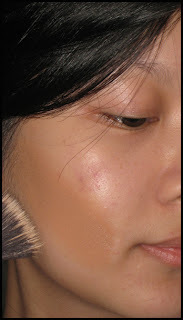 I then applied two different tones of foundation to my skin - a darker shade for the contours and a lighter shade for the high points. I then buffed everything in with a buffing brush. 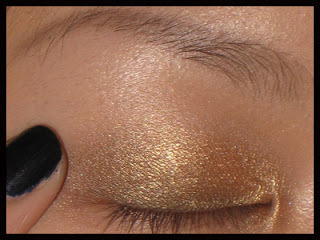 Then, apply a gold eyeshadow base, so the powder eyeshadow has something to adhere to. 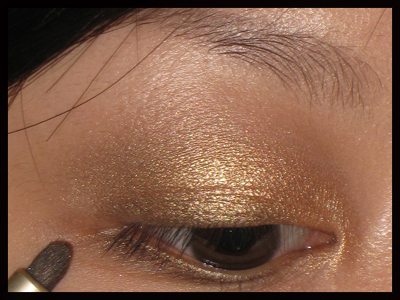 I used JK Jemma Kidd I-Radience Crème Colour in 01 Silk, and blended it using my fingers. Then, apply a gold eyeshadow to the inner 3/4 of your lid. Here, I am using Urban Decay's Half Baked eyeshadow, just with my finger. Then, I used a dark brown eyeshadow - Urban Decay's Smog - on the outer corner of the lid, also using my finger. 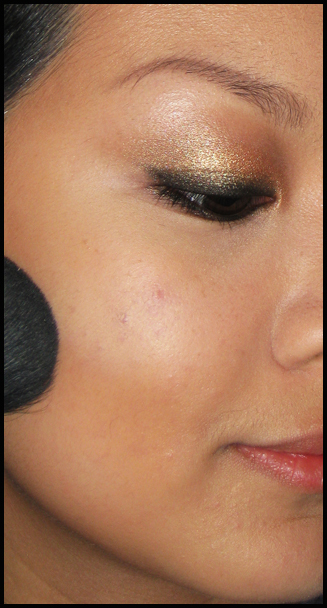 Take the same brown eyeshadow on a small pencil brush and run it along your bottom lashline. Line your upper and lower lashlines, making the outer corners thicker and slightly winged. 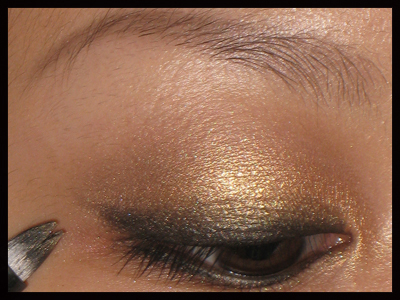 Smudge the eyeliner to soften the overall effect. 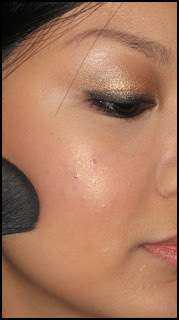 I am using my favourite Ellis Faas Creamy Eyes in E103 here. Clean up under the eyes and conceal any blemishes with a concealer. 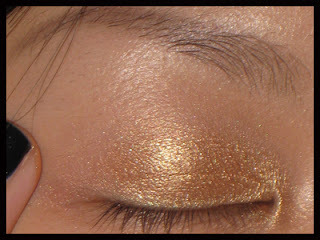 I am using Bourjois Healthy Mix Concealer in #51. Powder the skin and apply a blush to the apples of your cheeks. 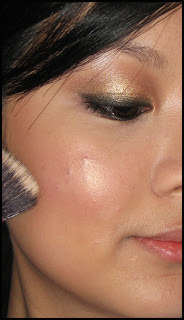 I wanted this look to glow and shimmer (it is a Christmas party look, after all!) so I used Sleek's Blush in Rose Gold. 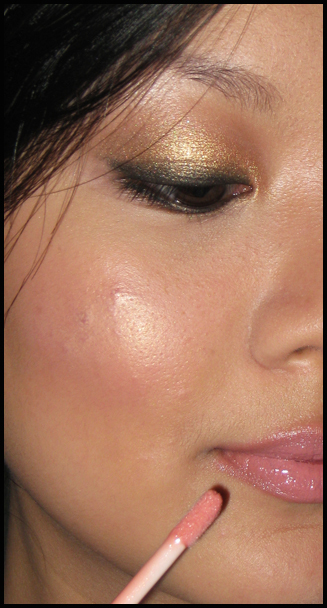 Because I am obsessed with shimmer, I also applied Tom Ford Shade and Illuminate (the highlight) on the tops of my cheekbones. If you think this is going too far, you can skip this step. Finally, apply a light pink lipstick like MAC Lipstick in Snob, and if you want, you can top it off with a clear or shimmery pink lipgloss. I hope this helped. Have a very Merry Christmas everyone! !